CBS Drama and the Horror channel have changed frequencies meaning viewers may need to retune Freeview to continue watching both services. Both channels will continue to appear on their respective channel numbers (70 & 74) after a retune. Old versions of the channels, with a retune slate will move to channels 790 and 792 after retuning. Some devices, notably YouView boxes will automatically make these changes. And for viewers with Freeview HD or YouView, living in an area where extra channels such as BBC Four HD are available, can now find CBS Reality+1 on channel 67. In ignorance, after rescanning I deleted channels 790 and 792. Hope that was not a mistake? I wonder why the system keeps these channels? Did a quick manual scan on 70 and 74 and have now obtained 790 and 792. Although all I see is a notice regarding retuning. Do you know what the changes are. Th logical channels and actual channels are as before? The two channels have swapped multiplexes. In terms of bandwidth they have taken each other's slot. 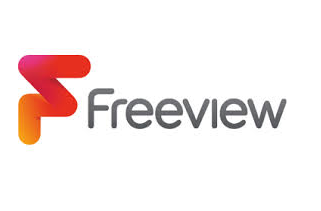 Well the Freeview Information page is pretty pointless - just a single text page pointing you to the website or a phone number for more information. I think if people have got Freeview and found their way to channel 100 they've probably done that already! Is there any difference between the bandwidths of COM6 and COM4? Still don't understand why they should swap multiplexes? On another point. Has anyone found a simple explanation regarding the interpretation of radiation diagrams. After the retune, CBS Reality +1 is not listed! CBS Reality+1 is available for viewers with Freeview HD or YouView, living in an area where extra channels such as BBC Four HD are available. Ive retuned my tv but lost cbs drama but still have the horror channel how do I fix this so I have both?